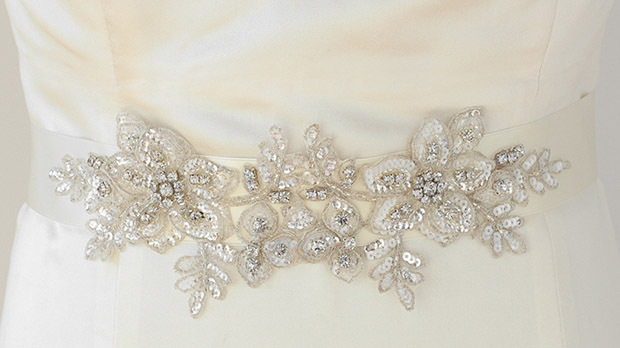 * This luxurious ivory satin wedding sash is the perfect finishing touch to any bridal gown. * At 108" long and 2" w, it can be tied as a long belt or cut down to size. * The handmade crystal beaded applique is 11" w and 3 3/4" h with an elegant floral design.